Zendesk has released its first iPad app whose features reflect an approach that puts a premium on development and a focus on apps native to the iOS platform. 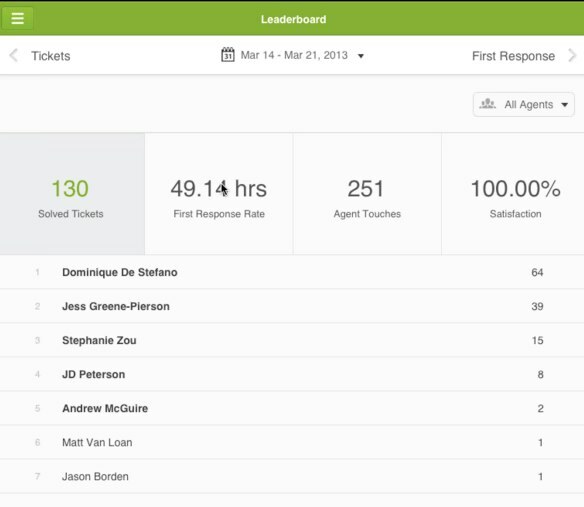 For the most part, people use the iPad to do simple tasks, which is reflected in how Zendesk developed the app. It does not have administrative functionality or advanced analytics, which they say are jobs still better suited for the web-based environment. 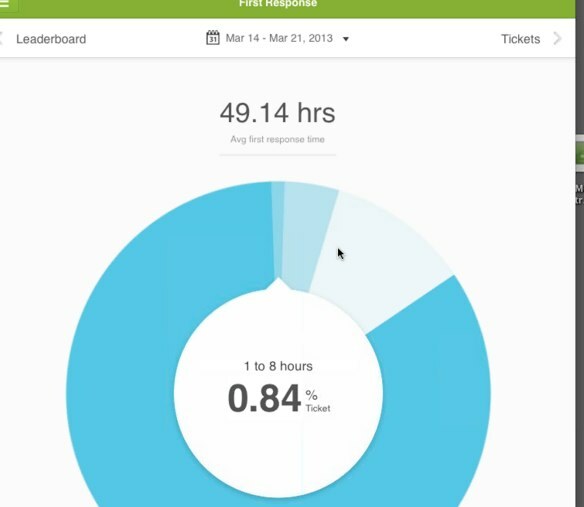 The new iPad app’s capabilities include a simple dashboard, swipe actions on tickets, ticket history on customer profiles and a new reporting dashboard. The coolest addition has to be the bookmarks that uses a “playlist” metaphor. It lists the issues the agent is monitoring. Each item on the list is a different bookmark that has a number for the total number of issues for that particular topic. 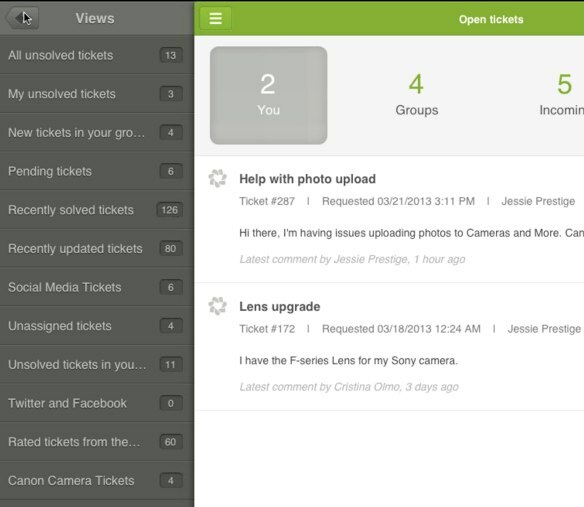 Zendesk has chosen to build out a native iOS app for the iPad, so it can use the operating system’s core capabilities. Pie charts and the “spinning wheel” features are demonstrative of this approach. Zendesk has a team dedicated to mobile development, which is reflected in this release. But like a lot of apps, it is still pretty lightweight. Deeper analytics seem like a missing piece that should be added in the next release. The company does plan to open its mobile capabilities to developers. That should mean a broader set of features that would include analytics.